Of your varieties I've only tried the Amish Paste and have to say I think they make the most delicious sauce. Interesting that you are going to sell some of these on Etsy! I hope that's a huge success. 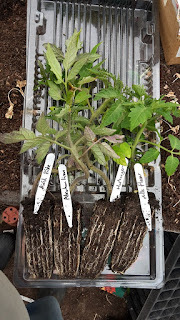 Other than two different coloured Cherry Toms, all mine are 'Supersteak' which is basically an improved 'Marmande'. Very good Toms. 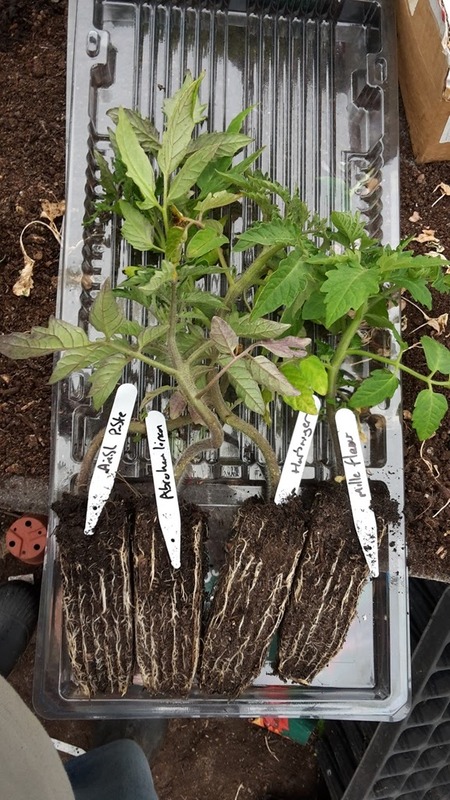 I was trying out four types this year, Amish, Primabella, Nepal and Long Keeper, none of the long Keeper germinated but the other three are coming on well they are now planted in there final positions. My tomato plants look healthy but very busy and stumpy. Hoping they have a growth spurt soon. I've saved seeds whenever I can or swap with friends and family. How fabulous, I wish you every success and lots of healthy tomato plants! i planted my garden yesterday. i started way to many plants this year and am giving lots of them away!